The main drive behind the recipe was really to showcase the red kuri squash and have a beautiful fork/knife vegetarian meal. However, as I was editing photos, I realized what a wonderful dish this would be for the holidays. I’m always on the lookout for fresh, easy to assemble ideas and this one definitely fits within that. 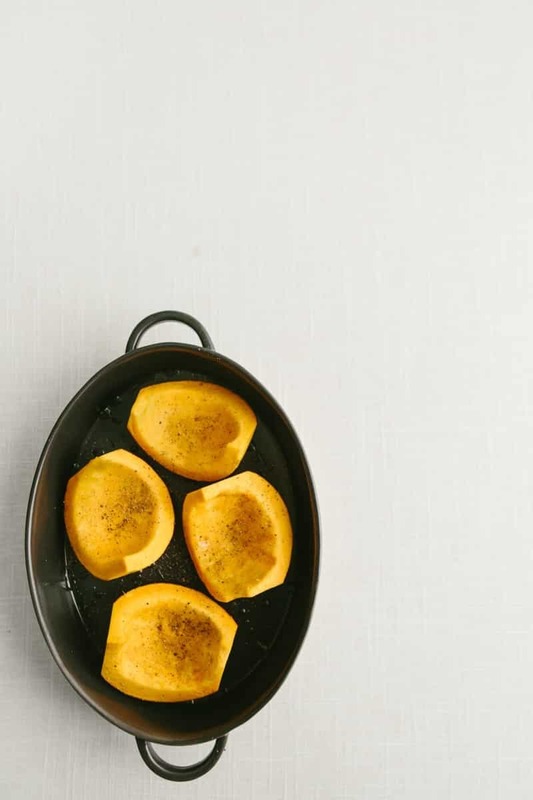 Swap it out: I know that you might not be able to find the red kuri squash in your area but this recipe works well with acorn squash (another of my favorite hard squashes). 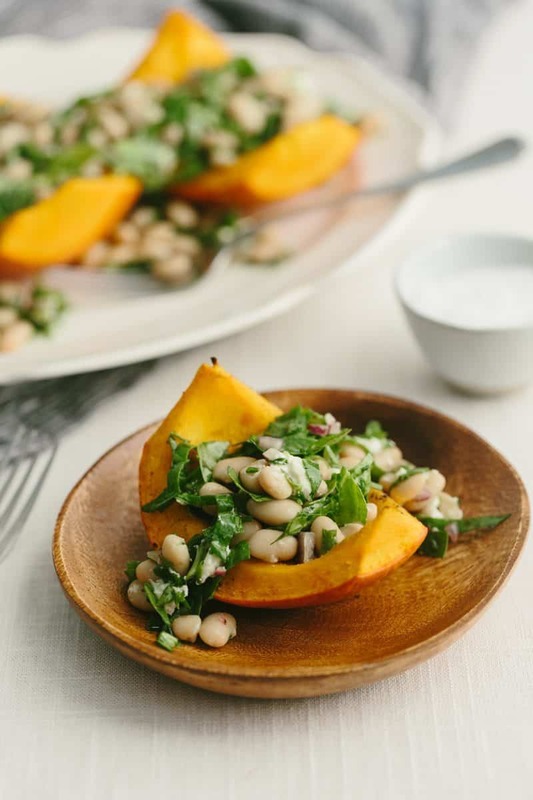 Prepare it in the same way (I’ve made a similar recipe with quinoa topped acorn squash). Add some toasted breadcrumbs: I purposely left these off to leave this recipe gluten-free but I love the addition of toasted breadcrumbs. Makes for a nice finishing to the dish. 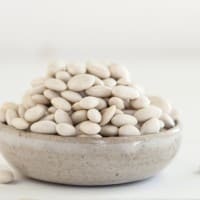 White beans: I used cannellini beans because I like the meatier texture/larger bean but other beans, such as the great northern, navy or even chickpeas would work in this salad. Preheat oven to 375˚. Using a sharp knife, cut the squash in half from the top to bottom then cut each section in half. Scoop out the seeds and place in a baking dish. Rub with olive oil, sprinkle with salt and pepper, and roast until tender, 35 to 45 minutes. Remove from oven and let cool slightly. 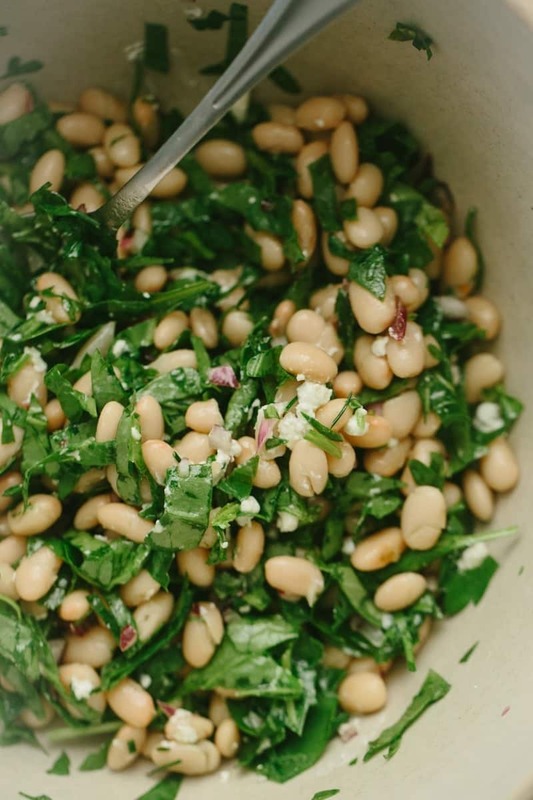 While the squash is roasting, combine the spinach with the beans, onion, herbs, and goat cheese. whisk together the olive oil and lemon juice, pour over the salad and toss until spinach and beans are well coated. Season with salt and pepper as desired. 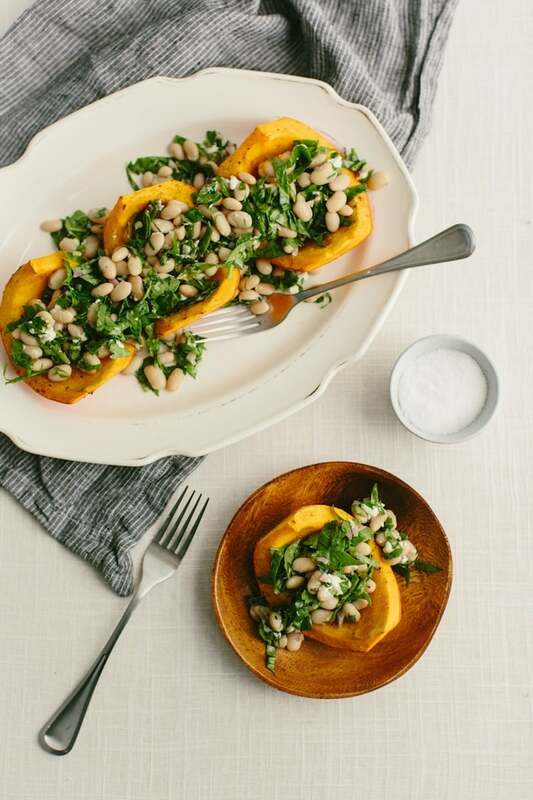 To serve, divide the salad evenly amount the squash. I am so glad that you published this recipe because it was just in time for our dinner! I had a red kuri squash sitting on the counter from our CSA and you were just the inspiration I needed. I made more of a Mexican version, roasted the squash with cumin and used black beans, lime and cilantro. It was so good! Also, we were pressed for time so I cranked my oven to 425 to roast the squash and it was ready in less than 30 minutes if anybody is curious. Love the twist on the recipe with the Mexican flare! I also love the variations you suggested 🙂 One can never have enough roasted veggies, right? You can easily get hooked with the beautiful aroma, not to mention that they look gorgeous, too! Yum! I love the presentation of this dish. I love this dish, it looks amazing. I always get confused about what is considered a squash and what is a pumpkin, at the end I say pumpkin to everything that is orange and round haha. Also in stores here, everything is sold as ‘pumpkin’ so it’s hard to tell. I just got a kuri squash when we went pumpkin picking last weekend, and thought, “ooh! This is pretty!” But I’ve been wondering how to use it for cooking. This recipe looks fantastic! 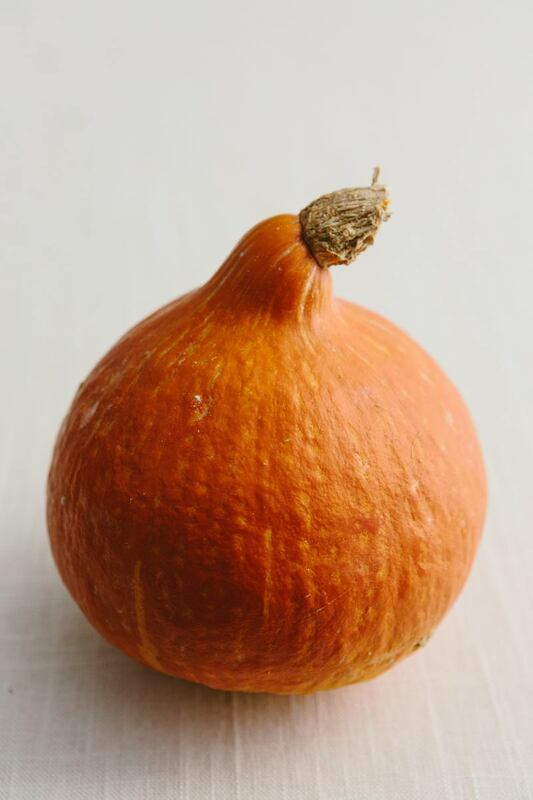 I have to admit that although I’ve seen them at the market, I’ve never picked up a kuri squash. There’s no good reason for it, and this beautiful dish has inspired me to go for it the next time I see one! 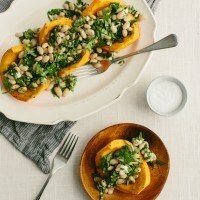 I have never tried a kuri squash but this recipe looks delicious. I will pick one up and try this recipe. This is just how I like to eat when the weather cools down. I’ll have to keep an eye out for red kuri. That sure sounds delicious but looks just too pretty! Oh this is perfect. I have a red kuri squash sitting on my counter as I dither about what to do with it. I finally have an answer. Thank you Erin! Yum! I love making a meal out of winter squash. This looks like a burst of flavor! Please can I have the recipe for roasted pepper and tomatoe soup with CANNELLINI beans and Tamara sauce. Hi Janet, I’m not really sure what recipe you are searching for as that particular combination is not one I’ve used. Wow – this will fast become a new favorite. I modified slightly – I used dandelion instead of spinach – it’s what I had. I didn’t rinse the fluid from the beans – I cooked the squash, then cut it into squares and just added it to the salad mixings. Chilled and ate the next day. Perfect! So delicious! Made homemade “croutons” out of pita bread. Had to make do with what I had on hand so used feta instead of goat cheese which added a nice saltiness that balanced the sweetness of the squash. Will make this often and in different variations over the upcoming winter! Made this on a rainy New England night ( tonight ) . My husband and I loved it ! I added dried cranberries for a twist and it all ingredients worked together . I made this yesterday and it was delicious. I’m definitely making this again. I am a vegan so I substituted part of Miyoko’s Double Cream Chive vegan cheese wheel for the goat cheese and it tasted good!